Chris Hodgson, owner of San Jose BMW (SJBMW) has been building and racing BMW’s for over 35 years. 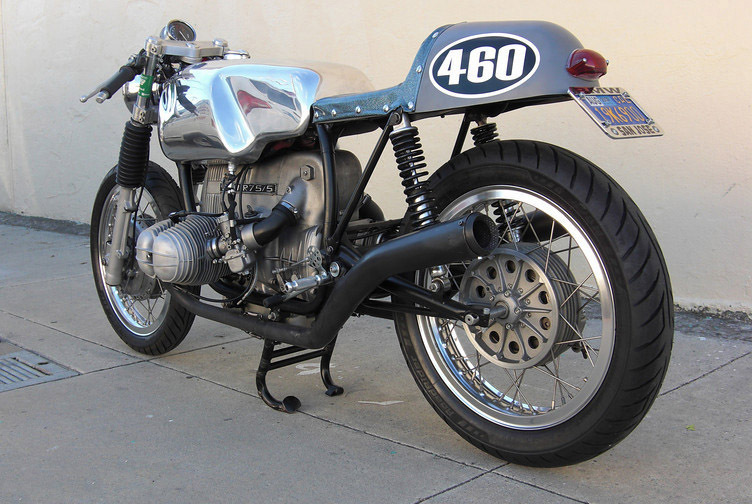 This stunning R75/5 Cafe Racer was built a couple of years ago when Chris discovered he “had enough spare parts to build a new airhead”- we wish we had enough spare parts lying around to build a bike of this calibre. That’s not to say that this bike was built overnight. It was a year in the making with Chris ensuring the bike was built to be period correct, either using vintage parts or having them custom made. 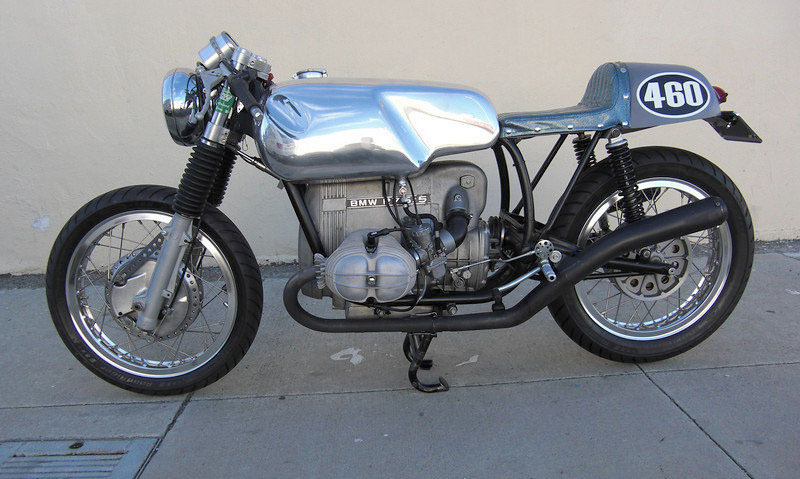 The beautiful tank was pounded by Evan Wilcox to Chris’s pattern which was styled on the early British cafe racer tanks. Some other specs included Mikuni round slide carbs, Akront high shoulder wheels, drum brakes, old Ducati seat and exhaust pipe made by Swarbuck Racing. After the project was completed Chris said “we just had to race it – so off to Bonneville we went”. Not only did they race it, they got a new 750cc record – hitting a top speed of over 130 mph. Pretty impressive for a 750cc at 4600ft of elevation on a 100 degree day. For more shots of this awesome airhead now known as the ‘Bonneville Speeder’ check out SJBMW Racing or this link to see Chris with his pride and joy on the salt flats.